Dominik Wagner was in town for a few days and the Perez brothers were able to skate and film with him during his recent visit. Check the edit filmed by James Perez and Steven Perez. “Dominik Wagner was in New York for a couple of days. He arrived on October 20th. Although I had a busy schedule with school, and Dom had a tight schedule with work, we were able to spend quality time on and off the blades. It was dope to see a dear friend that I haven’t personally seen in years, but of course we always stay in touch and communicate. We managed to get a few clips each, and I decided to put them together as a gift for Dom. I hope you enjoy what I’ve put together” – James Perez. More from James Perez, “It was “dope” to skate the Brooklyn Banks with Dominik. I remember years ago, when we were in the area, Downtown Manhattan. We were standing in front of the Brooklyn Banks, and for those that may not know, there is a police station across the street. Dominik was ready to hop over and climb over the gate to get into the banks. Haha I had to stop him and tell him to “chill”, cops would have arrested us on the spot, this was during the period that cops guarded the Bk banks because of the construction equipment. Besides work,Dominik was also in New York for our friends wedding. Our dear friend Shawn Engler recently tied the knot and got married. It was a beautiful ceremony, with the New York City sky line in the background. While the ceremony took place, the love and the city was so vibrant. Congratulations to Shawn and Coco!! Much blessings for you the your future” – James Perez. View Wasteland here. “Life in New York is not easy. The rents are high. If there are jobs, they are often poorly paid. The personal space is very limited and generally the city starts off the bright lights in their lanes slow to rot. But nowhere else in the world seems to be the rollerblading scene that has often been declared dead, so to be alive as here. Their traces are everywhere to read: waxed stone edges, roll marks on the walls – the architecture of the city is misused. 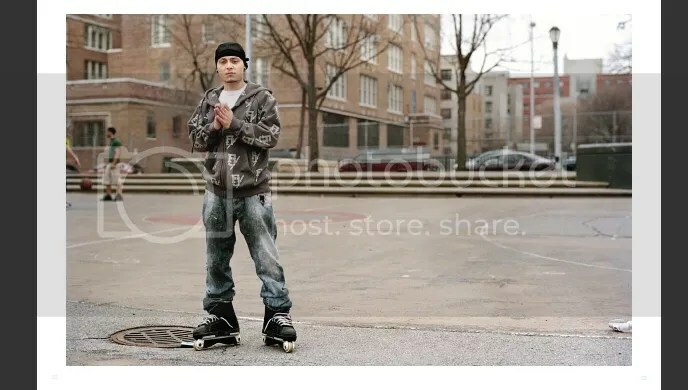 For this reason skating is illegal, or at least undesirable in most places, resulting in a constant cat-and-mouse game with the Securities. But the golden age of the nineties, where the sport was large, are over. Rollerblading is now underground. 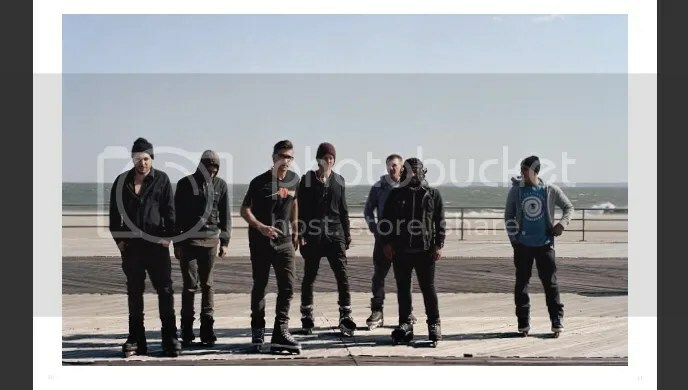 Nevertheless, the skaters can be found daily on the road together. They come from all walks of life and from all parts of the city. It combines the desire to escape from the bland, standardized or hard everyday. Each “session” is a nocturnal adventure. The search for new skateable locations begins anew each day. Each new trick is a more personal limit exceeded. It’s not about rich or famous to be the best, but rather to look at the world from a different perspective. The point is to use urban space differently, to test their own limits and to share this with other like-minded people. Wasteland is a portrait of a forgotten subculture” – Dominik Wagner. Translated by Google. View Wasteland here. “Leftovers from a rainy night session. Skating what we could while getting kicked out and waiting for spots to dry” – Tom Brews. Featuring in order of appearance: Damian Michalski, Sebastian Michalski, Dominik Wagner, James Perez, and Nigel HoSang. Youtube link after the jump. Filmed/Edited by: Tom Brews. Featuring Bart Laubsch, Patrick Ridder, Chris Berg, Dominik Wagner, Dave Benski, Gabriel Hyden, and Marc Moreno. Filmer(s): Mike V, Nigel Hosang, Dave Irvine, Shawn Engler. Editor: Dominik Wagner. I Roll NY gave a sneak peak into Dominik Wagner’s NYC based photography book, Wasteland, in it’s previous online interview and now Dominik has released it online for all to see. 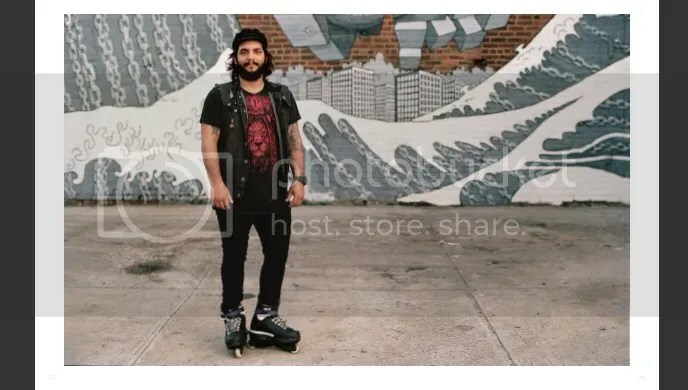 Wasteland features photos from Wagner’s stay here in NYC and includes local skaters such as Shardy Nieves, Franco Cammayo, James Perez and many more. View Wasteland here. “The name Wasteland came up in my mind one day during my trip, I was sitting in the car and it was moving super fast, everything was passing by like a movie. Damaged cars, broken houses, and graffiti everywhere. I started to feel like this is such a wasteland! No disrespect to where I was staying, the great thing about the title it self is that it’s very open to interpretation. At the time being, that’s just the feeling that the title evoked. NYC has so many great places to skate” – Dominik Wagner. ODNY talked with Wagner and discussed his photography work as well as the gallery opening for Wasteland “From skating road rash, rolling “cleanliness”, and eclectic personalities, these photos capture it all. These lifestyle shots of skating and everyday routines, really come to light through D-wags photography by setting the tone and bringing forth composition and texture to give you a sense of the daily culture and characters that are part of our scene. Dominik was awesome enough to talk about his latest project with us. This book marks Dom’s graduation from Lette-Verein Berlin where he is now certified as a photodesigner” – ODNY. View the interview and more photos from Wasteland on ODNY. Featuring Dominik Wagner, Ramelle Knight, Nigel HoSang, Shardy Nieves, Gregory Sturino, Carly Sanchez, and more. Edited by Shardy Nieves. German Remz pro Domink Wagner came down to New York City and spent three weeks here joining in on our local blade scene. He got to skate with us, hang out with us, and even live with one of our local photographers Shardy Nieves. 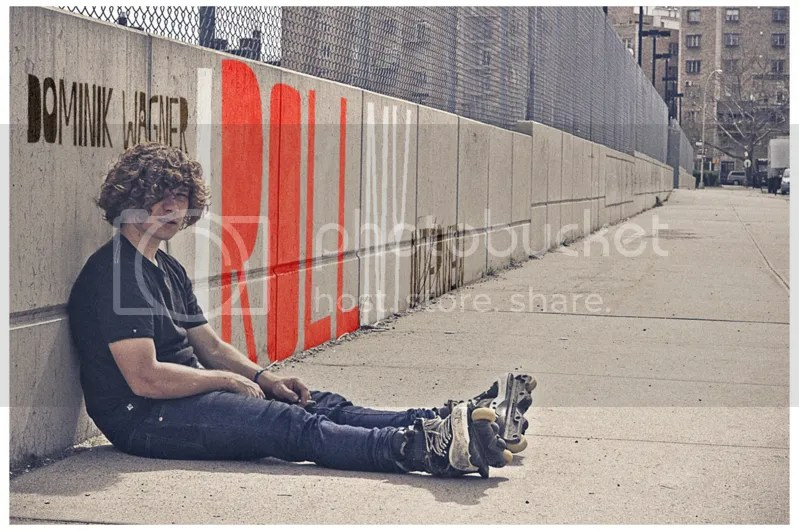 I was able to meet up with Dominik and ask him some questions about his stay here along with the revival of the Chimera wheel company and his thoughts on the phrase “Euro Chucker.” Check out the I Roll NY Dominik Wagner interview here. Thanks to Shardy Nieves, Sam DeAngelis, and Adonis Taylor for providing the photos.